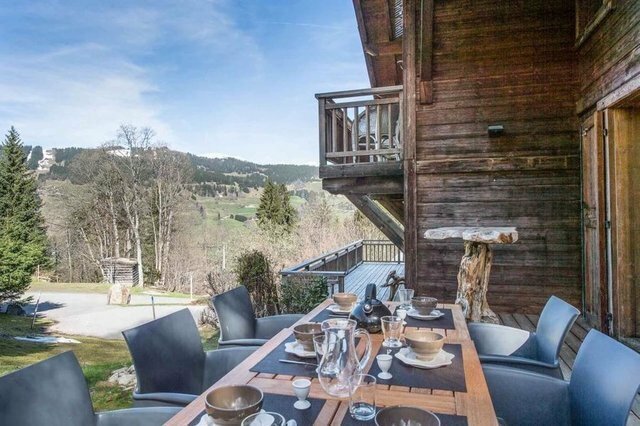 MONT D'ARBOIS BEAUTIFUL CHALET REF. 6201, located in a quiet and residential area, 1 km from the ski slopes. With a living area of 290 m² and a total surface of 360 m², on a plot of 1,652 m², beautiful prospects for expansion can be envisaged. It comprises: Living room with fireplace and dining room, balcony and S/W- facing terrace, independent fitted kitchen, 4 bedrooms with adjoining bathrooms, children's bedroom, independent 1-bedroom apartment, spa with shower, wine cellar, laundry, 2-car garage. The chalet also has a garage in the neighboring condominium allowing access to the pool and tennis. *Fees to be paid by the seller.